Sarah MaKayla Clarke was born on the 19th of April in 2006, just two days before her due date. It was a seemingly normal pregnancy and delivery, and her parents were sent home with a “healthy” baby girl. Her mother, Ayla tells her story. When Sarah was very young, she started crying. I don’t just mean little crying fits. Sarah screamed all day & night for several months. Then the “episodes” (as we called them) started. She would go stiff and tight, her eyes would glaze over and it looked like she was a million miles away. We took her to two separate doctors and public health nurses to try to figure out what was going on with her. We were told that the stiffness and tightness was just her way of learning how to move her muscles outside of the womb, and that the crying was “nothing serious”. The day we finally got some answers was the worst day of my life. Sarah was only five weeks old and she’d had about twenty of these “episodes” in the matter of half an hour, so we packed up and rushed her to Carbonear General Hospital. They weren’t able to find anything wrong, and were about to send us home, when a doctor just happened to see her in one of her “episodes”. She said, “She seems to be having a seizure!“ With that, we were transported to the Janeway Children’s Hospital in St. John’s, where we stayed for the next two weeks. 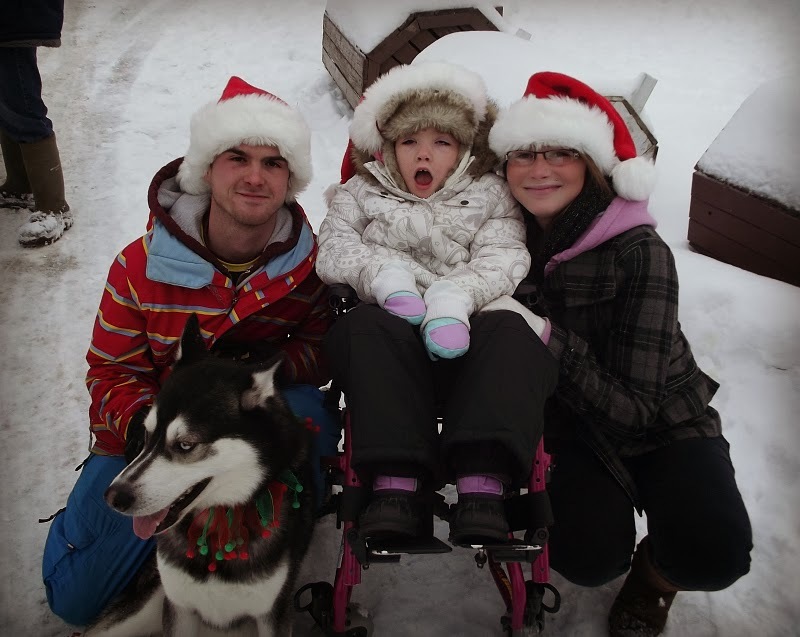 Sarah was put through numerous tests.. blood work, x-rays, MRI, EEG, CT-scan and spinal tap. She went through it all. It was found that Sarah had a large amount of scar tissue on her brain, which we now know caused the seizures, as well as vision loss due to the formation of congenital cataracts in-utero. 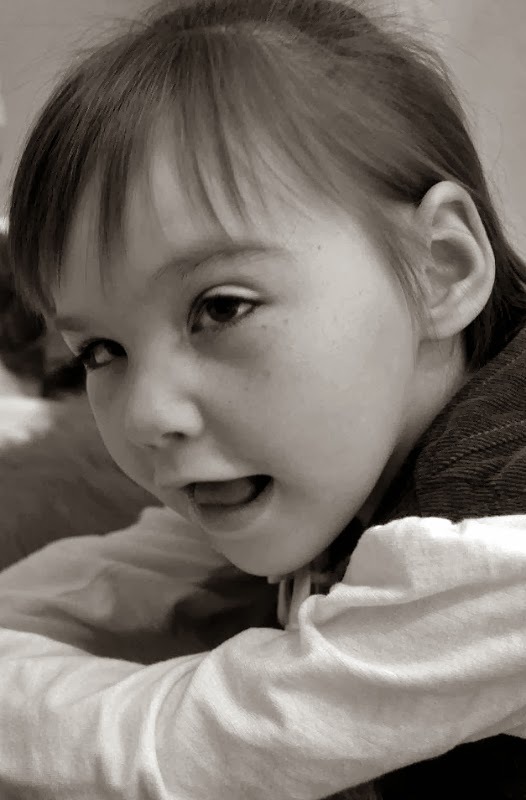 It was a lot to take in, but at least we had some answers and we knew that with the help of surgery some sight would be able to be restored, and with the use of medications we could try to control her seizures. After about a month of regulating her medication, we were able to fly to the IWK Hospital in Halifax to have Sarah’s cataract removal surgery. We spent three weeks there and went through two surgeries but it was well worth it because Sarah is now able to see! I still felt as though there was something else going on with her that we weren’t aware of. Then I got a phone call with an appointment at the Janeway to see Sarah’s pediatrician. 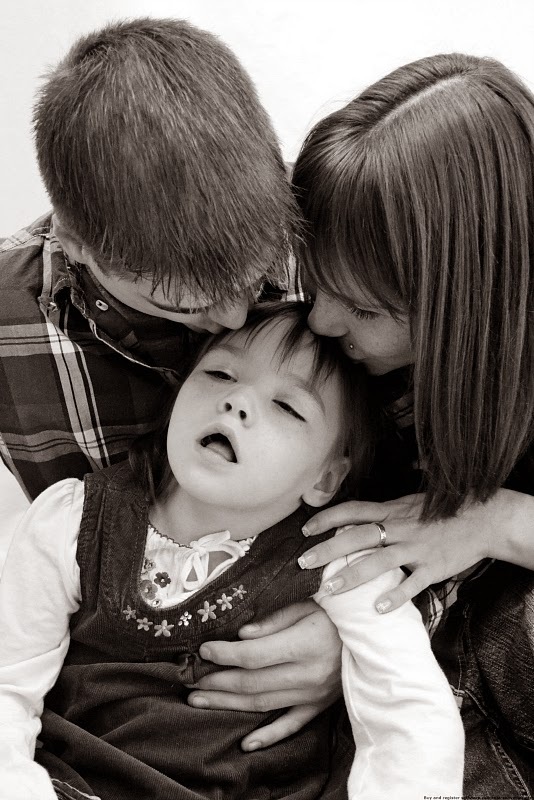 Sarah was just five months old when we were told that she has Cerebral Palsy. I was completely devastated. I knew she was a bit behind with the normal developmental milestones. She couldn’t sit or hold her head up. Her trunk was really weak she wouldn’t hold on to anything. I was terrified thinking about the future and what our lives were going to be like from that moment on. Right away we were sent to physiotherapy, occupational therapy, speech therapy, audiology and genetics appointments. Sarah was followed by the whole rehabilitation team. We were told about support groups and programs that were set in place to help children and families like ours. We didn’t take advantage of these services right away because I just couldn’t. I wasn’t ready. I needed time to understand and come to terms with what was happening to our family. After some time, the feeling of sadness and loss subsided. My family and I were faced with the decision to either sit back and be upset with Sarah’s diagnoses, or to jump head first into therapy and do whatever we needed to do to help Sarah. We decided to become a family totally united, to face all of her challenges together, and to work our butts off for Sarah! 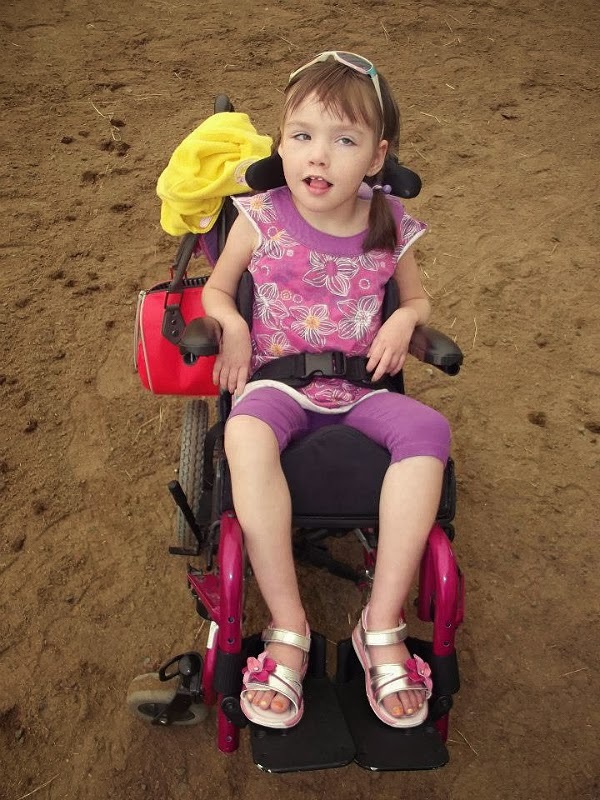 We now take part in Rainbow Riders and Easter Seals, which Sarah loves! She has been involved with horseback riding, swimming & music therapy. We go to family camps so we can connect with other people who are going through similar situations. Sarah has made lots of new friends, and I have benefited by meeting children older than Sarah and seeing how much they are able to do. I also get the benefit of talking with other moms and hearing their experiences and stories. The best additional therapy that we have found has been Conductive Education, which is an intensive therapy that is based around re-training the brain of people who have suffered a brain injury. It focuses on strength-building, teaching her what she is able to do and focusing on that. It has been an amazing experience for Sarah. We travel to Halifax twice a year for up to two weeks at a time to receive this therapy, and we continue the therapy at home as well. We were once told that Sarah may never sit, stand, walk, talk, or eat on her own, and that she may never be able to live any sort of independent life. After finding the Conductive Education program and doing it for a few years with her now, I am thrilled to say that Sarah has made leaps and bounds! She is building her vocabulary, she can sit all by herself and stand for several minutes by herself. 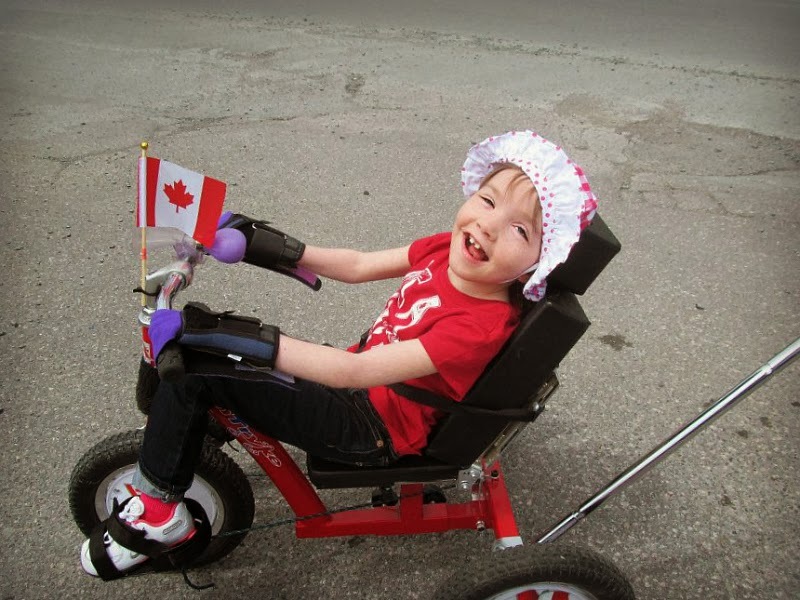 She is walking with support, she can ride her adaptive bike and so many more things that we never expected to see her do! It’s an ongoing process with lots of work still ahead but there have been many improvements, and she is doing new things every day! I am so thankful for all of the love and support we have been shown over the past few years. If I could go back and tell myself anything, it would be to slow down, take it one day and one step at a time. We still have our battles to face, but we are a strong, united family and we have a very strong little girlie! Watching her struggle with all of her appointments, surgeries, sicknesses, seizures and hospital stays has been scary, overwhelming and heartbreaking at times. There have been nights where I didn’t know how we could do it anymore. But then we see her working so hard, always with a big kiss and smile for me! She takes my breath away and melts my heart. Her smile will always keep me going. Sarah loves life and is the happiest little girl I know. We are so lucky that she came to us. She has opened my eyes to a side of the world I never knew existed and a kind of love I never could have believed possible. Sarah is not just living with CP, she is thriving with it! Thank you, Ayla! Sarah is such a sweet little girl and it is so exciting to watch her progress in the way that she has! I can’t wait to see her smiling face again soon! 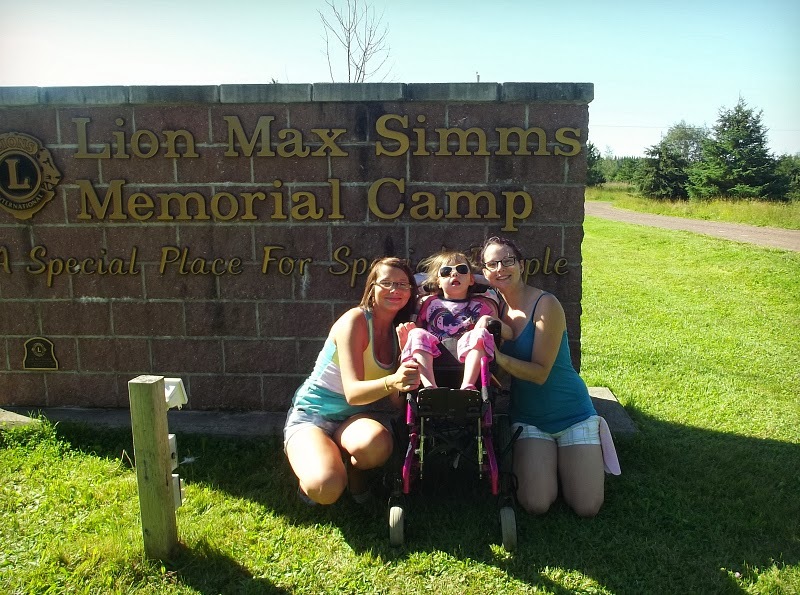 Click HERE to sponsor Sarah at 'Stand Up for CE', an event to raise funds for people participating in Conductive Education classes.